2 restaurants, a health club, and a complimentary children's club are available at this smoke-free hotel. Free WiFi in public areas, free self parking, and a free airport shuttle are also provided. Additionally, coffee/tea in a common area, a business center, and concierge services are onsite. All 396 rooms feature thoughtful touches like bathrobes and slippers, plus free WiFi and LCD TVs with cable channels. Sitting areas, room service, and free bottled water are among the other amenities available to guests. Dining is available at one of the hotel's 2 restaurants. Wireless Internet access is complimentary. A business center is on site at this 3.5-star property. A roundtrip airport shuttle is complimentary to guests at scheduled times. This business-friendly hotel also offers a health club, a terrace, and a complimentary children's club. Onsite self parking is complimentary. 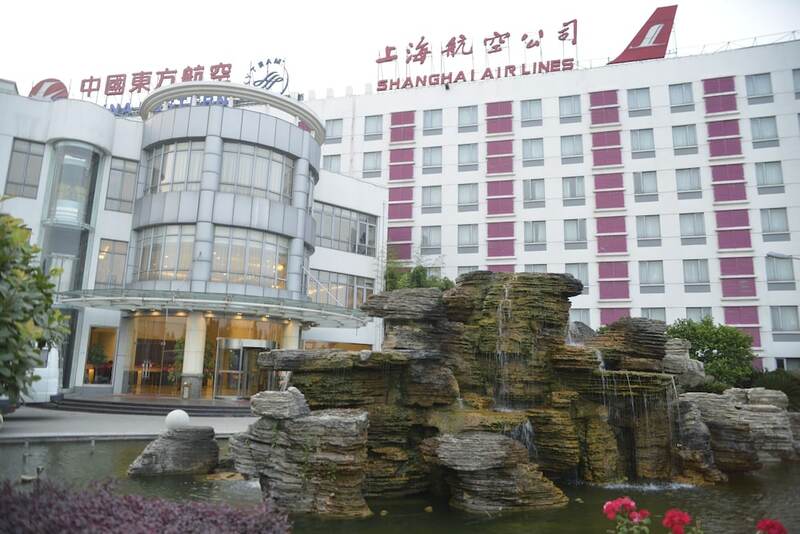 Shanghai Airlines Travel Hotel is a smoke-free property. Onsite venue - This restaurant specializes in local and international cuisine and serves breakfast, lunch, and dinner. Guests can enjoy drinks at the bar. Start your morning with a buffet breakfast, available each day from 6 AM to 10 AM for a surcharge. Room service is available during limited hours. Airport shuttle service is available at scheduled times from 6 AM to 1:30 PM. Fees may apply. Contact the property in advance to make arrangements.